The Lunar New Year is the most significant and widely celebrated festival in Chinese culture. Families reunite at the dining table on New Year’s Eve and revel with fireworks, parades, and other activities including traditional dances and music. 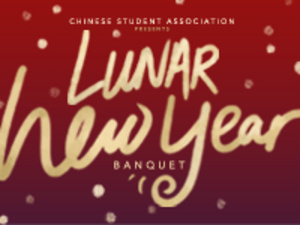 The Chinese Student Association invites you to attend our annual Lunar New Year Banquet as we celebrate this holiday here at Oberlin. This year, we are hosting Night Market Cleveland to deliver a keynote speech on presenting Asian food in an American context (right here in our very own Ohio!) and recognizing food as a vehicle for culture and gathering. We will also showcase our very own Chinese Student Association Wushu Team, as well as talented friends performing traditional and popular Chinese music. Please join us for an evening of food, music, and festivity! Tickets are $3 at the Wilder Hall front desk and $5 at the door. Dress code is semiformal.